Viking Books for Young Readers, 9780670011582, 116pp. Everyone has something to brag about in EllRay's third-grade class. Corey's on the swim team, Kevin is super tall, Jared's dad has an ATV (with flames!). But what about EllRay? He isn't about to gloat about how his geologist dad collects rocks. Boring! Or is it? The crystals in his dad's office are really cool looking. And if EllRay just "borrows" them to show his classmates, he knows they be impressed. He'll be a rock star-literally! And his dad will never have to know. It's a fail-safe plan . . . until everything doesn't go according to plan. 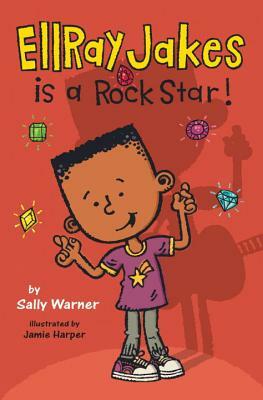 Sally Warner (www.sallywarner.com) has published more than twenty novels for young readers, including the Emma and EllRay Jakes series. She lives in Altadena, California with her husband and their not-so-miniature dachshund, Rocky.